An apartment interior designer whose main task is to innovate, to make a difference in each of his works, giving a personal touch in every design without forgetting the customer’s requirements. We all want something different, something that we like, a home designed for you, your perfect apartment. Desing Group J will provide a creative and experienced designer, who will advise you and turn your home into a more pleasant place, which is possible because we can turn your ideas into designs, and designs into reality within your apartment. Each apartment has its own style, and each designer is trained to provide you with current knowledge and developments in the interior design area. We learn from your ideas, and move forward for you. Every time we’re remodeling an apartment or innovating designs, our apartment interior designer performs a preliminary analysis of the space it has, taking into account customer requirements for obtaining an excellent result, and give you the chance to live in your dream. The apartments are generally small spaces, and therefore our goal is to make them attractive, incorporating innovative and stylish elements. The decision is in your hands, change is in ours. 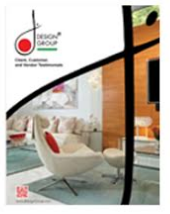 The large number of options in terms of design objects, such as lights, floors, walls, furniture etc. will give you a broad portfolio with which we can create a deluxe apartment. Be your own apartment interior designer, get advice from us and turn and idea into home. Our company is located in Coral Gables, Florida and you can reach us at (305) 444-4611 by phone, and by email at jdesigngroup@aol.com or visit us at 225 Malaga Avenue in Coral Gables, Miami Florida.